Goncalves, photographed by the Boston Globe’s Yoon S. Byun. Every year I teach (or co-teach) Literature of Social Responsibility, a course that strives to combine the methodical and concrete critique of a sociologist with the storytelling sensibility of a literature professor. I, of course, am the latter. But stories draw their power from being ground in the realities of life – and one key piece of that reality is contributed by legendary sociologist William Julius Wilson, who first made waves in the 1960s by arguing that economic class was even more important than race in limiting the possibilities of one’s life, an interesting claim for an African-American scholar in a time when parts of the country were still fighting formal segregation. His exploration of all the ways we remain separated have included the books The Declining Significance of Race, The Truly Disadvantaged, and When Work Disappears; he warns against the pervasive impact of “social isolation,” all the ways the poor, lacking a sense of economic possibilities, can become cut off from the broader network of the mainstream, reinforcing their poverty. The sense of possibility so many of us take for granted, reinforced by the surroundings of the mainstream, cease to exist when there is no perceived opportunity to provide hard evidence. The so-called culture of poverty often follows from poverty itself. Wilson, of course, is not alone in this view – and one mainstream source Wilson himself has praised is the HBO series The Wire, set in inner city Baltimore. In Literature of Social Responsibility, we study the fourth season of The Wire – focused largely on efforts to save middle school children from a life on the streets, out of the belief that high school is often too late. So why am I spending my precious sabbatical reminiscing about, of all things, teaching class? It turns out that even as I have more time to read, what my eyes come across are more reminders of the issues Wilson and The Wire raise. Just this week, a pair of stories got my attention – one addressed the psychological impact of inequality on all of us, another what happens when someone is given an opportunity. In the New York Times, there was the piece “How Inequality Hollows Out the Soul,” by Richard Wilkinson and Kate Pickett. Co-founders of the Equality Trust, the writers also authored the book, The Spirit Level: Why Greater Equality Makes Societies Stronger. The essay is an intriguing synthesis of various studies that suggest correlation between the degree of inequality and psychological disorders. Careful to acknowledge exceptions to the overall theme, the piece nevertheless points to some reasons why the inequality gap is increasing – and why we should reverse the trend. That lack of generosity shows in our politics these days, what with threats to not only unemployment and food stamps, but even national volunteer programs that promote a less narcissistic and selfish view of the world – and, in the process, give individuals a chance to disprove that supposed inferiority. 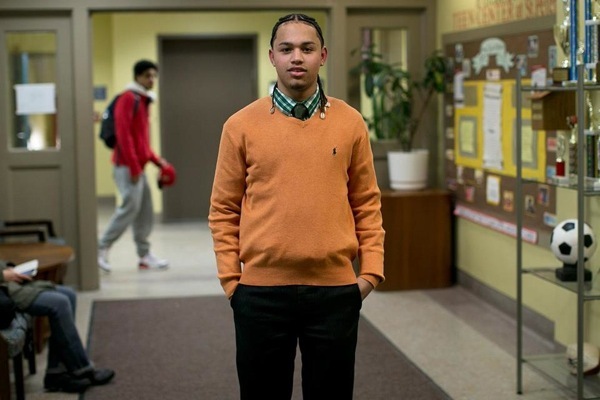 Now 18, Goncalves, whose behavior was so bad that his mother once shipped him back to Cape Verde, is an honors student who has gained early admission to Union College, his first choice. That simple belief – one I take for granted in my own middle-class existence – is not so easily maintained for the socially isolated – for those who don’t only have no full-time jobs, or health insurance, or even enough food to eat … or the companionship of those who do. Sure, juxtaposing these articles invoke complexities that can’t be fully explored in this blog entry. But one way to acknowledge complexity is to resist simplistic notions of false superiority and give people the chance to prove themselves. After all, Wilkinson and Pickett seem to suggest, if we help others save themselves, we may be saving our own souls in the bargain. Sounds like an interesting class you co-teach, and I appreciate how you’ve made these connections between the articles. Many of us take for granted the outlook of “possibility”. I’d not thought of it quite like this. Thanks. I only get it to teach it once a year, and unfortunately we’re not always given two teachers, which makes a difference.